Since Data Studio’s debut mid-2016 – has it really been around for nearly 2 years?! – Google has been building it out, making it more robust and user-friendly. As nice as it is to easily pull and beautifully display data from Google products (like Google Analytics, Google AdWords, and more!) in Data Studio, from the beginning Google talked about this product as a complete reporting tool. For nearly 2 years only Google-built data connectors were available in the Data Studio interface. Sure, this included one for Google Sheets, but wouldn’t it be easier to be able to connect directly to a data source instead of first feeding it into Sheets and then connecting that source to Data Studio? The release of Community Connectors in late 2017 solidified the idea that Data Studio isn’t just for visualizing data from Google products and opens up Data Studio to a whole new world of reporting possibilities. And we’ve been excitedly watching the list grow to over 70 Connectors! When Data Studio was first introduced, the only data source connectors available were built by Google: “Google Connectors”. Community Connectors give anyone the ability to create a data connector for Data Studio. 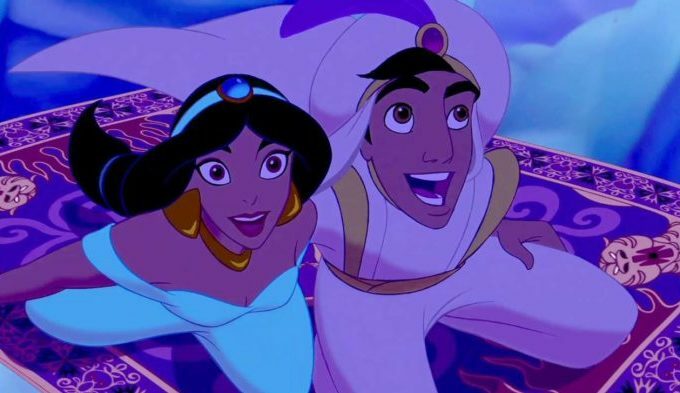 That might sound daunting to you as a user, but – good news! – a lot of companies have already begun developing and releasing custom connectors! They built them and you get to use them. Once set up, these will work just like normal connectors and allow you to refresh from the report and pull the most recent data. At the time of writing, there are 2 groupings of Community Connectors: (1) Partner Connectors and (2) Open Source Connectors. These data source connections open up the possibilities for reporting in Data Studio. The more connectors available, the more sources you can connect to Data Studio. Companies have diverse goals that don’t always fit nicely with the built-in data studio connectors. Of course, we love connecting to Google Analytics, but not everything fits into Google Analytics dimensions and metrics. For example, AdWords Impression Share might serve as an important KPI for a company determined to expand brand awareness and market share. We can easily visualize that metric, conveniently benchmarked against impression share in other ad networks, in Data Studio with the help of Community Connectors. Sessions, clicks, events, conversions. All are vital marketing metrics. Community connectors allow us to extend and heighten marketing data by combining it with information from many sources. Data Studio is growing and adapting to be useful outside of Google’s universe of products. 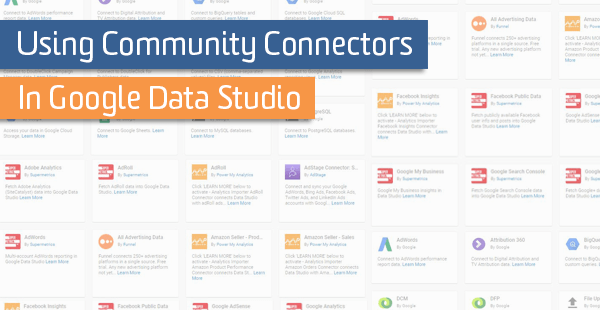 You can view the Community Connectors gallery here, or search for a connector on-the-go while creating your Data Studio report. So far, Supermetrics has taken the lead in the number of connectors built. There are now nearly 30 Supermetrics connectors including connectors for Adobe Analytics, Facebook Ads, Mailchimp, and YouTube. And this is just the beginning! Community Connectors – and the opportunity to combine data sources into one, comprehensive Data Studio report – will only grow from here.